When billions of dollars are on the line, and traditional security awareness programs are failing to move the needle, it’s time for a fresh approach. The Living Security Escape Room is an immersive training experience that builds security awareness concepts into a fun team exercise. Not only will your employee's have a higher retention of the security principles immersed in the escape room, they will also see your investment in the game as a reward, an opportunity to have some fun, learn some things about securing their lifestyle, and form a deeper positive relationship with you. Games have a high success rate for improving human cognitive functions, such as reasoning and memory retention. An escape room is an interactive game where groups of people are locked in a room and have to solve puzzles and find clues to escape, all within a set time period. Plot design and game play for our escape rooms are customized for your organization’s specifications, requirements, restrictions, and focus areas. After program completion, the employee debriefing and follow up emails tie the experience back to training concepts for increased retention. Employees learn about security concepts by interacting with puzzles, challenges and an exciting storyline that makes them memorable. Focus areas can include: Insider threat, corporate espionage, email threats, web threats, sabotage, DDoS, hactivism, cybercrime, clean desk, whistle blower and more. Hosted by Living Security: Living Security will setup and host the Security Escape Room training event for you at your location. 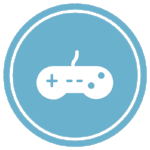 This includes game design, setup, hosting, participant debriefing and training completion certification. Train The Trainer - Licensed: For those program owners that want to run the room year round we offer a licensed train the trainer model. 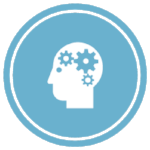 This includes game design, props, on-site train the trainer session for you and your team, and support for the duration of the license.